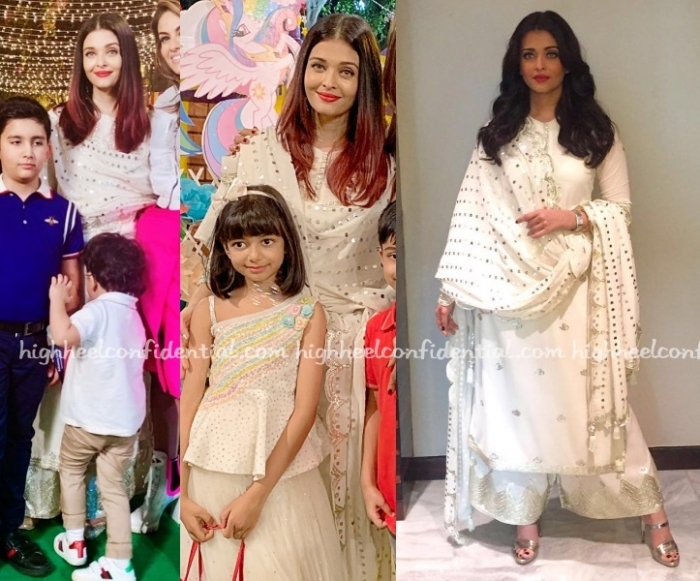 Wearing an Sukriti and Aakriti kurta and palazzo, Aishwarya attended the Raag Shayari event on Monday evening. Yes, the bright red lip was present here but it worked with the cream suit. She looked good! 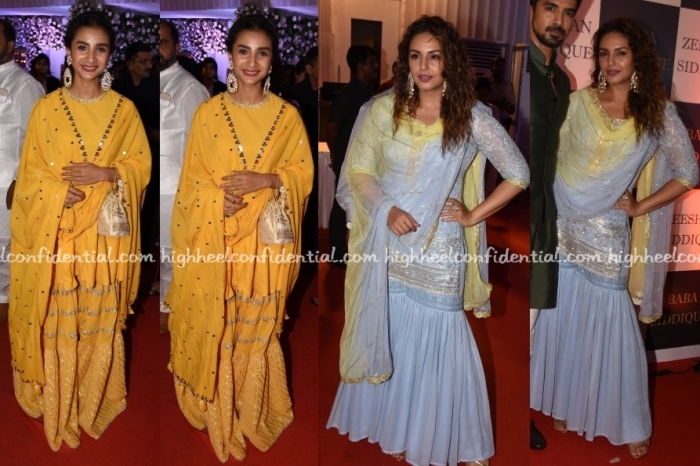 Latest round of promotions had Sara wearing a Sukriti and Aakriti sharara. Wearing her hair partly pinned back, the actor rounded out the look with understated make-up, metallic flats and stack of green bangles on one wrist. The color worked well on her; she looked nice! Giving her white Sukriti & Aakriti kurta and pants another outing was Aishwarya at Aaradhya’s birthday party on Saturday. We sure liked seeing her wearing it again. You’ll remember her wearing the emsemble to Sarbjit promotion back in 2016. Samantha was the guest of honor at a dance recital on Saturday evening where she was seen in a blue Sukriti and Aakriti lehenga. Nothing to fault here. She looked lovely.